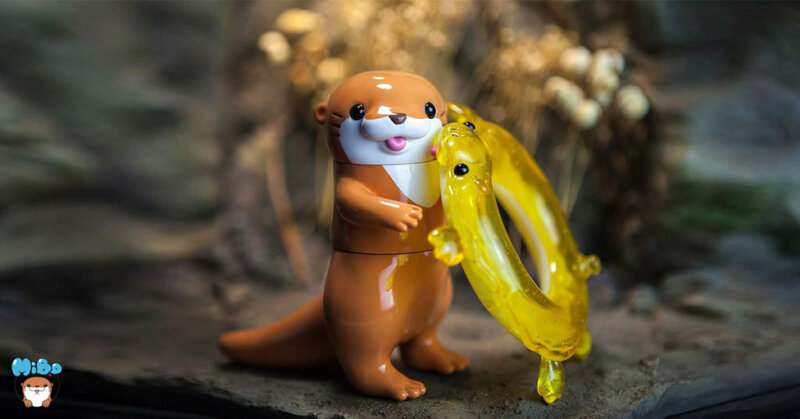 Who would have thought Otters need a blow-up float, HA. We are sure its only a fashion accessory. Anyway, meet MiBo the Otter and his companion KaKa the float! by MiBo Studio x Futuretoys. From comic strip to art toy its time to take a dip! We’ve seen MiBo make its rounds at various Asia conventions and popping up on social media over the past few months. We’ve been a little puzzled on how international collectors can get hold of the little chap (We guess we didn’t try hard enough since Amber has one already!) Anyway MiBo Studio x Futuretoys have made it slightly easier to own a MiBo. Or put your name / phone / Quantity (one person is limited to three only). Purchase with Facebook private or email to [email protected]. Want to DIY your own Kaka? MiBo are offering DIY versions too.